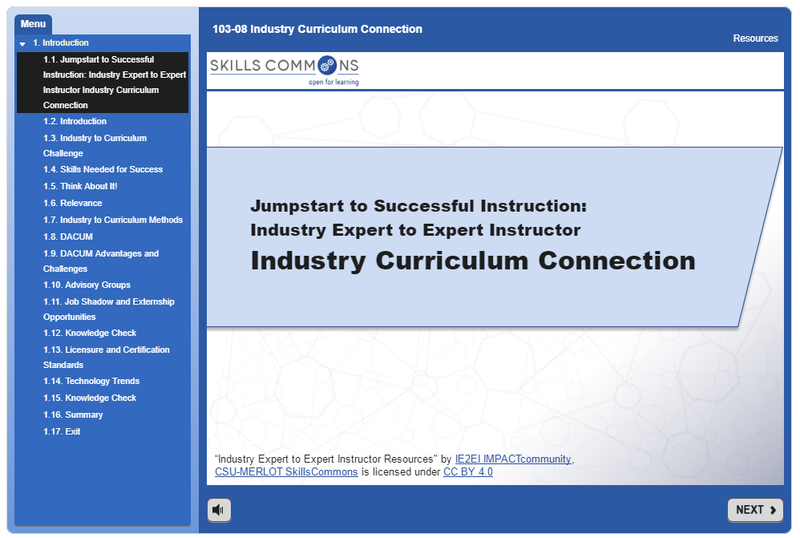 The IE2EI Jumpstart to Successful Instruction 103 course provides professional development rich in resources to help the industry expert develop a successful learning environment. 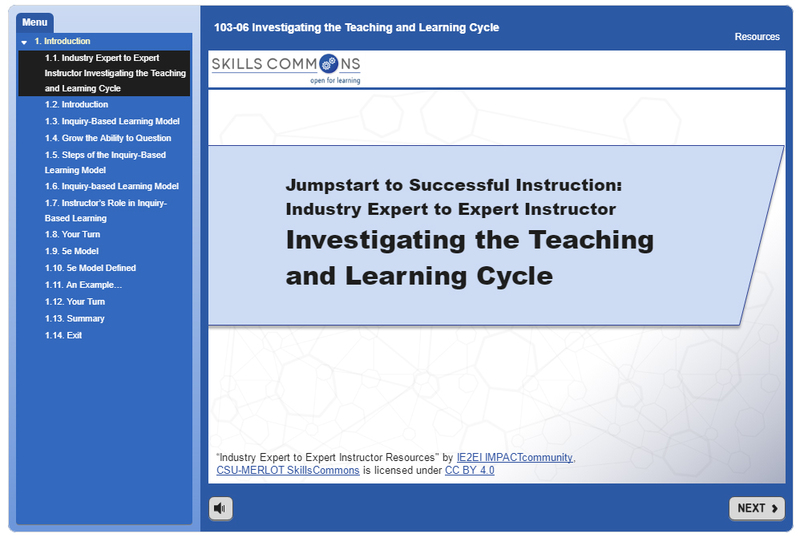 Most of the materials are practical and presented in a manner that will allow instructional new comers immediately incorporate proven adult learning concepts into their courses. 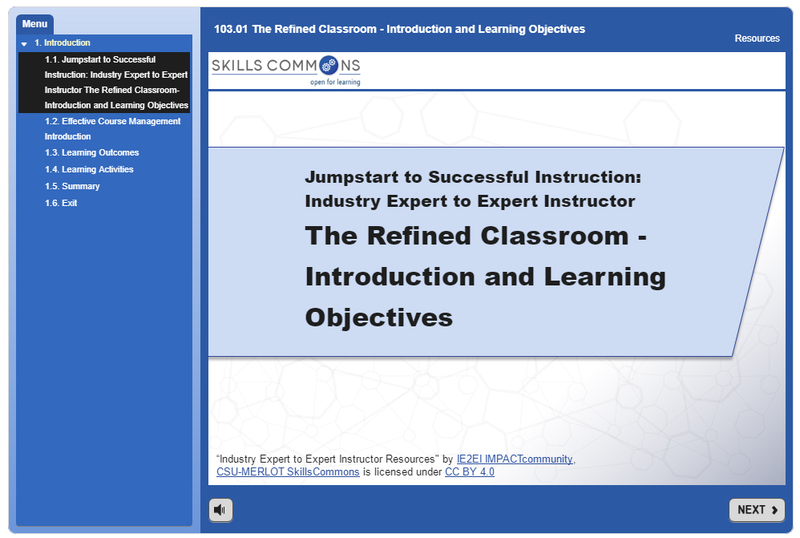 In this module participants will be introduced to the content of the Jumpstart 103 course modules for use in planning successful and effective courses. In this module participants will be introduced to the concept of mastery-based learning. The information discussed is define and examine characteristics of an authentic assessment. Additionally, a comparison of authentic assessments to conventional test will be made in determining how well the assessments measure a student’s mastery of the content of the course. 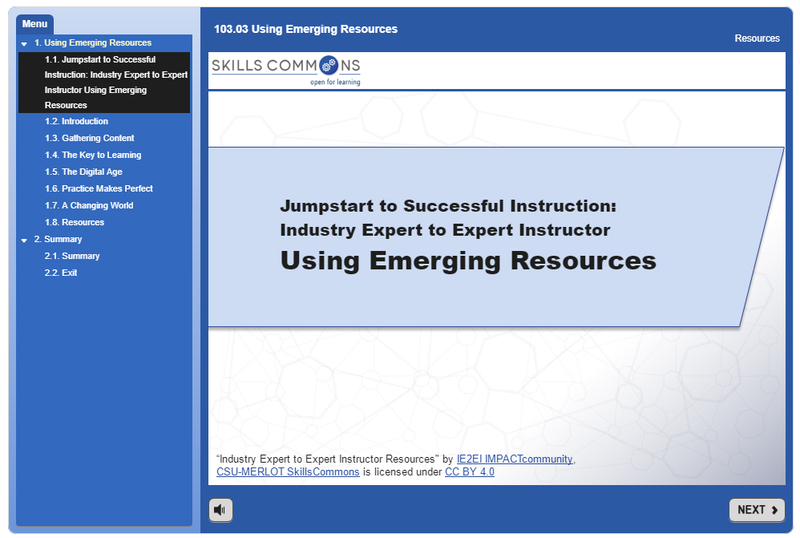 In this module participants will be introduced to resources to utilize in building or enhancing your course. Participants will be introduced to interactive digital content and the use of open educational resources verses traditional resources to assist your students in reaching their educational goals successfully. In this module participants will discuss project based and problem-based learning. 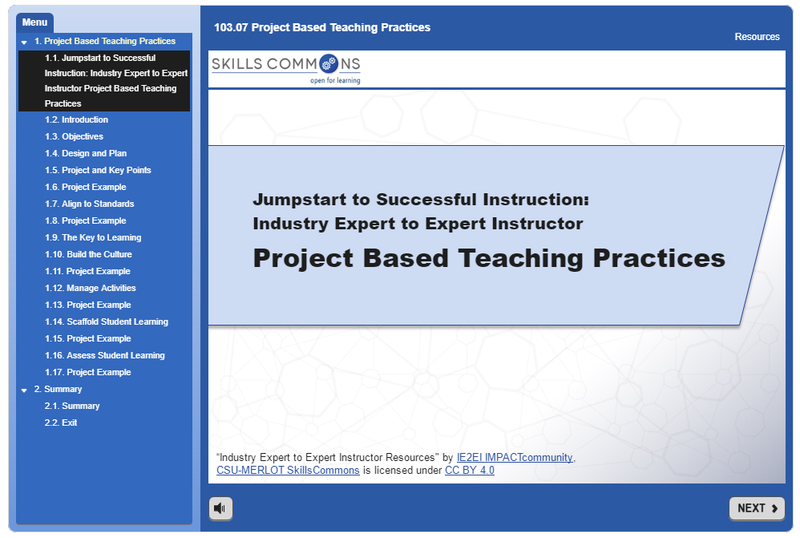 The content will introduce the 4 key guidelines in developing project badge and problem-based learning assignments in a course. In this module participants will be introduced to three types of specific techniques to engage students in learning which are facilitated through the use of technology. Participants will be led through information on: collaborative inquiry, experiential learning and reflection as way to engage students in mastering their learning while teaching them how to apply the skills in advancing their education or within their employment. In this module participants will explore two models of sequential phases of learning, the Inquiry-Based or the 5eModle. Participants will develop a deeper understanding of these models and how best to use them in a classroom. In this module participants will understand the differences between traditional course teaching and learning and project-based teaching. Project based teaching practices offer alternatives beyond the traditional “off the shelf” curriculum and assignments. Project based learning expands the role of instructors to mentor or coach helping to guide students to tackle real world challenges or explore a meaningful question in deeper depth. In this module participants will explore the connection between industry and the course content. 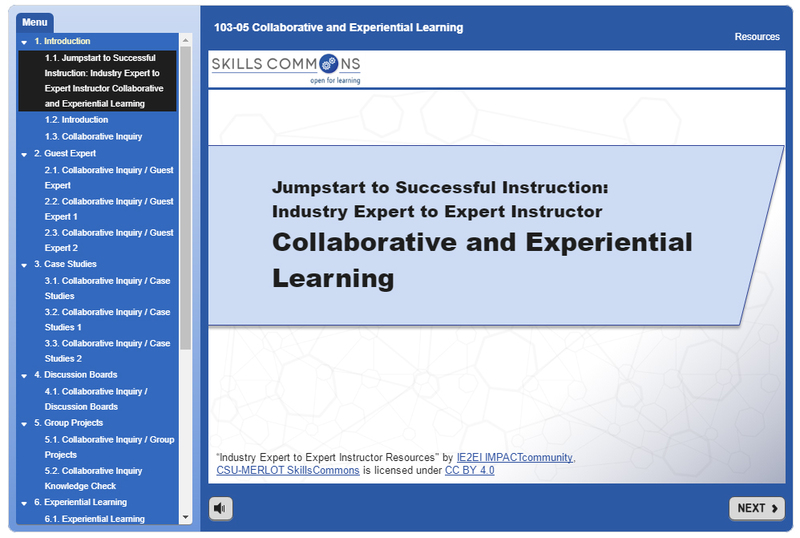 The content will take a deep look in how instructors and institutions can ensure students exit an educational program with the skills needed to succeed in the workforce. 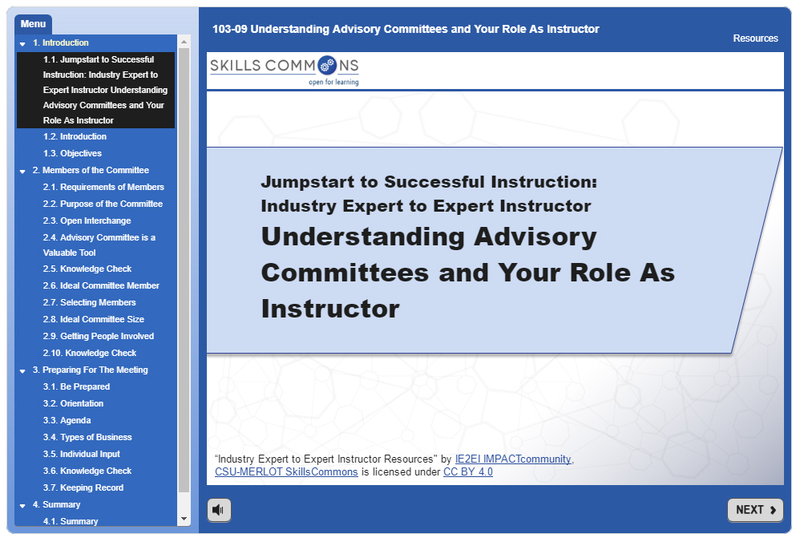 In this module participants will explore advisory committee and the roles and responsibilities of participating or leading an advisory committee. Topics covered include requirements of an advisory committee, roles of advisory committee members and preparing for an advisory committee meeting. 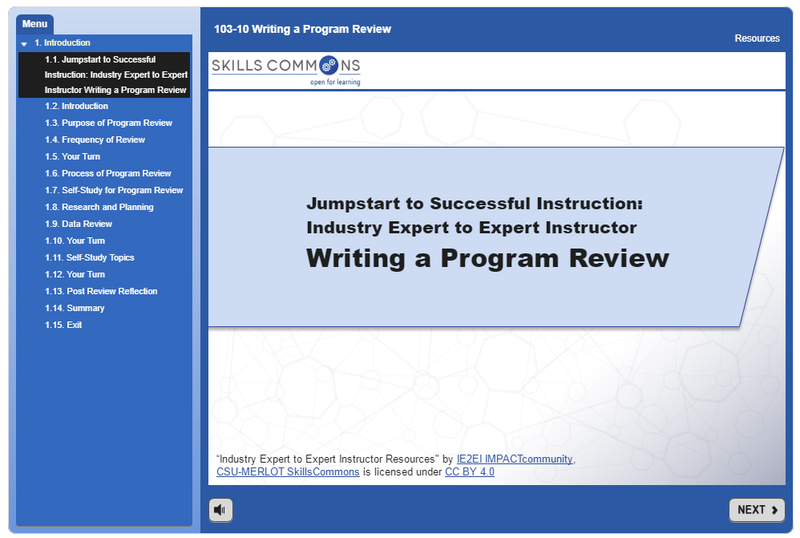 In this module participants will be introduced to the purpose, process and results of a program review. It is important for all faculty to understand whether program reviews are required by law or just a policy of your institutions. Components of a program review will be discussed along with explanations as to why each component is important in the review.